Okaaaay...I just want to say Hi, my loves sorry for being MIA again. As you all know, I was home in PH for more than a month and now I'm back here in the sandpit again. It's been a week, and I still feel that I left my heart back in PH. I've said this before and I'll say it again, nothing feels like being at home than being in Pinas. Bali-baligtarin man ang mundo, mas gusto ko pa din sa aking bayang sinilangan. I honestly didn't want to go back, I was crying endlessly after I got inside the plane and I just couldn't stop. I've been missing my family like crazy, most especially my Mom, who has been my buddy since I got home. I wish I could stay. But there are certain things that people must sacrifice for the meantime in exchange of something greater. I just tell myself that in time, I'd be with my family again. Who knows, me and Mr. X might just decide that we'd rather be in Pinas after all? Hah, that would be the day. For now, lemme focus on things I must do. It's gonna be hard but I know, despite the distance, my family will always be supportive of me. And of course, Mr. X too. So let's just go back to the usual grind here on my blog, shall we? And today let me share with you one of my great buys when I was in Manila. This might be available here, but not so sure really. My Mom was at Healthy Options for her monthly shopping spree of her lotions and supplements when I remember about this soap. 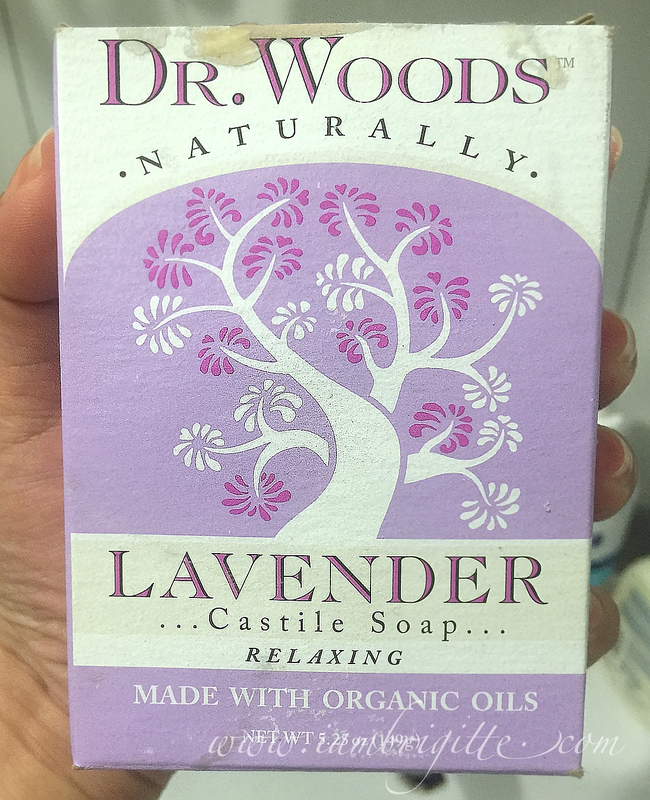 Actually, I was thinking of Dr. Bronners soap but they don't have it and then I saw this. I remember reading a review about this in the past saying that it's a good brush cleaner. I've been using the Clean Brush Shampoo for quite a while now and it's not that I no longer like it, it's just that I'm always looking for new stuff to try and yes, cheaper alternatives. This is priced at (more or less) Php250, so I told myself "Why not?" So I got one and Mom wanted one for herself too, after telling her it's a brush cleaner. If in the past I'm the one who gets influenced by her, now it's the other way around. Hahaha! Castile soaps are vegetable-based and contains no animal fat. Natural and biodegradable, these soaps are perfect for those who are into all-natural skincare. It's eco-friendly as well and does not have a strong scent to it. The lavender scent is so subtle I could hardly smell it really. Using it as a brush cleaner is easy. 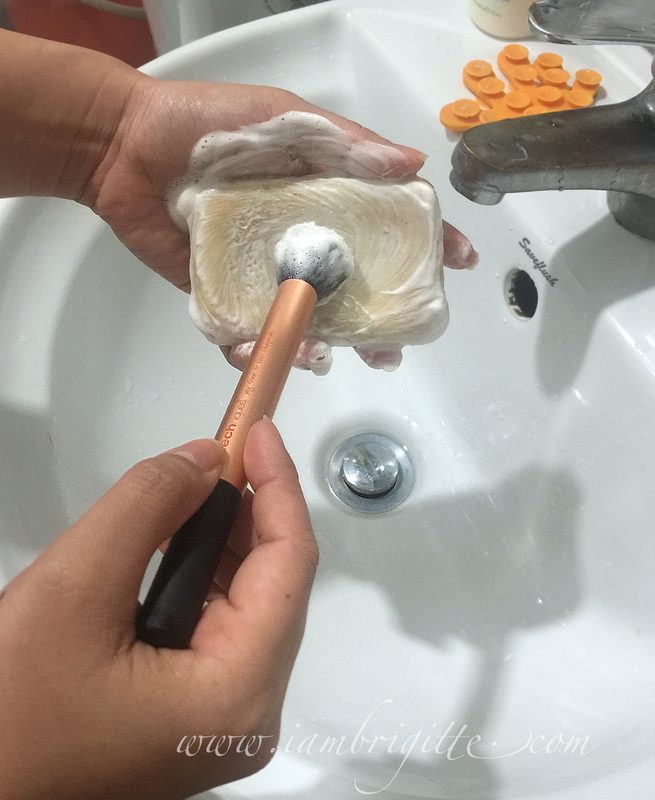 I use it just like how I use the Clean Brush Shampoo: I hold the soap in one hand, wet the brush and swirl it against the soap. 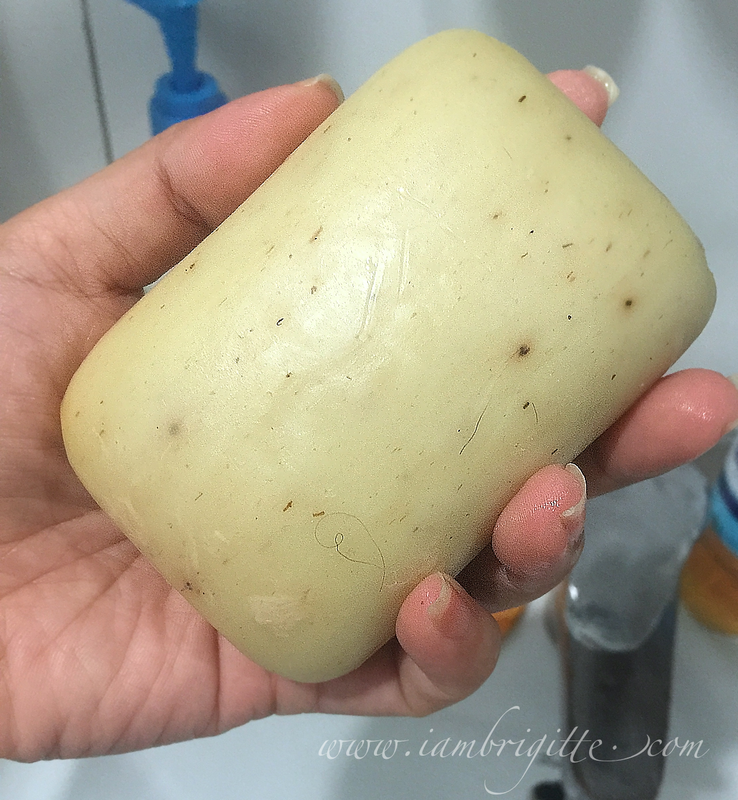 Despite it being natural, it lathers quite well which actually surprised me but rinsing is so easy. It doesn't leave a film residue on my brushes unlike other brush cleaners do. It cleans all my brushes thoroughly, even those that I've used with cream foundations/concealers. It doesn't leave any scent too, which is nice most especially if you hate using something on your face that has a quite strong scent. 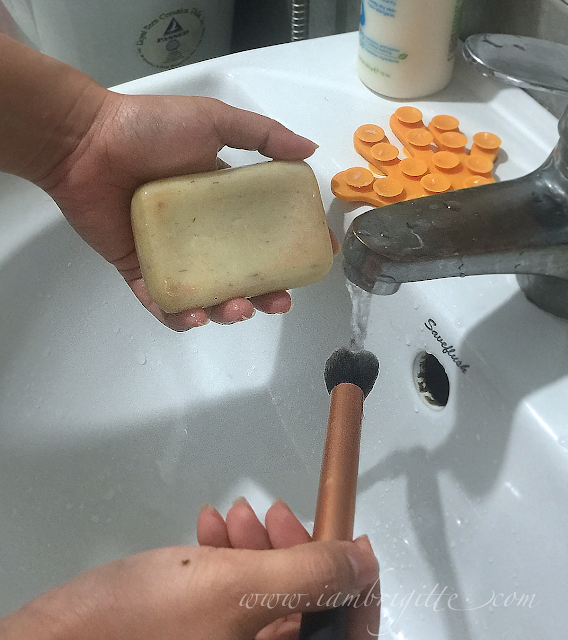 I've used the soap as a handsoap too and I like that it doesn't leave my skin dry or tight. 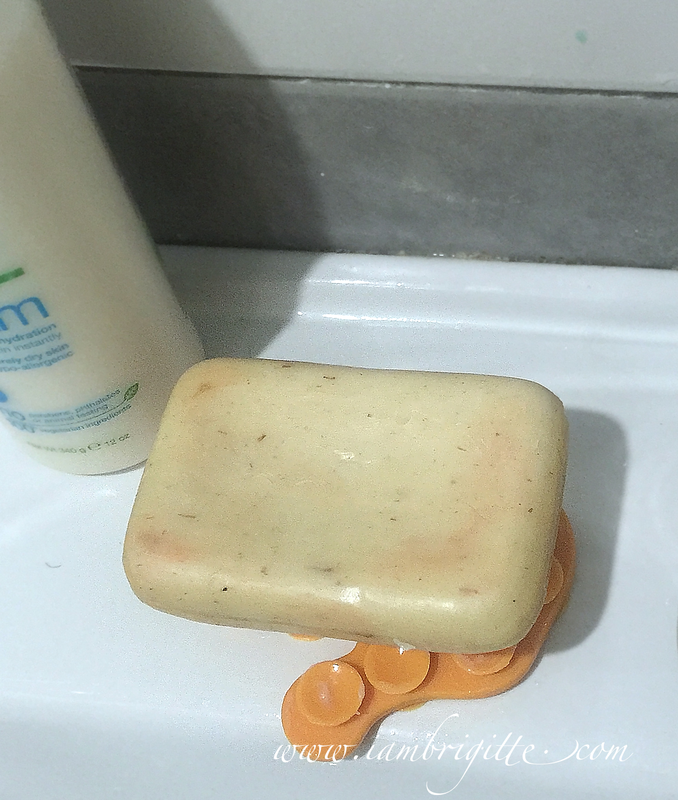 It's very moisturizing, kinda reminds me of Dove soaps. After using the soap for the first time, I put it back in the box then I realized that either I find a nice closed soap dish for it or store it in a Ziploc bag. I did the latter, but I'll soon drop by Daiso and find a cute soap dish for my new brush cleaner. 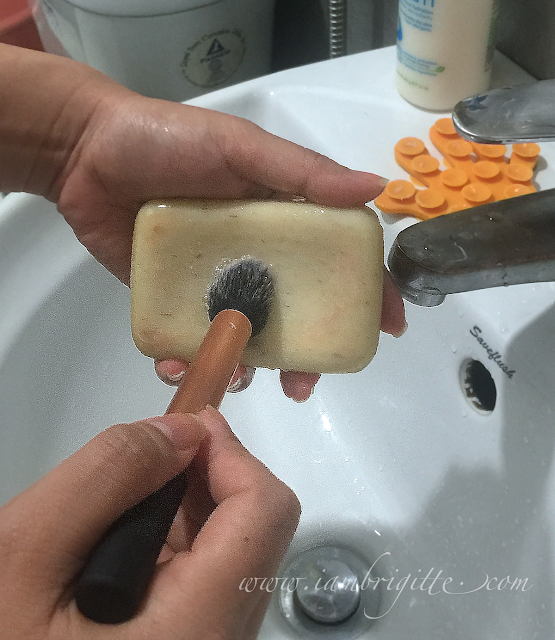 What do use to clean your beloved brushes?